A fitness center and fireplaces in every room delight our guests at the intimate non-smoking White Swan Inn near Nob Hill and Union Square. The bed and breakfast-style White Swan Inn has 26 individually decorated rooms spread over five floors. 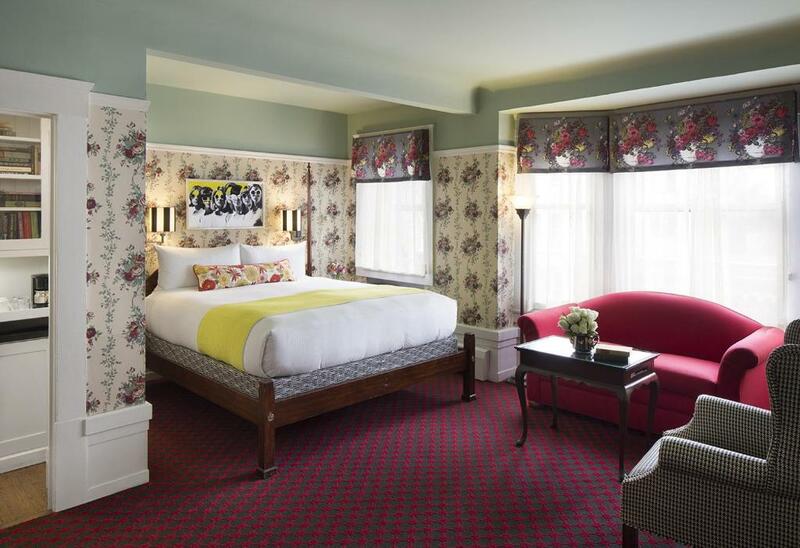 All rooms have fireplaces and sitting areas rich wood paneling floral carpets and furnishings and decor reminiscent of a picturesque English inn. Each room has a wet bar stocked with complimentary beverages flat-panel TV with DVD player bathrobes and coffeemakers; Wi-Fi is available throughout the hotel for an extra charge. In the evening enjoy wine and hors d'oeuvres served fireside in the cozy parlor. Both the parlor and living room invite guests to relax read or visit with others. The hotel also provides a fitness room laundry/cleaning service a computer kiosk and concierge service. Valet parking (for a surcharge) is available. The White Swan Inn is a five-minute walk from Union Square. Grace Cathedral and the Theatre District are within three-blocks of the hotel and the Cable Car Museum and St. Mary's Square are ten minutes away. Chinatown is a six-block walk. From the Powell Street Cable Car two blocks away guests have easy access to the many of the city's other famed attractions. The hotel is 12 miles from San Francisco International Airport. Enjoy traditional old-world charm combined with modern comforts in the heart of the city at this cozy hotel.